They are going to be adding vegan/paleo friendly snacks to their repertoire - including organic sprouted nuts and seeds. Their products are delicious, but more importantly, the Bros are committed to conscientious values that support the highest quality of life. I really respect them as a company because of the high standards and levels of commitment they have set for themselves. I have gushed about Bearded Brothers on my blog before. They even helped out with my "blogiversary" giveaway. I am trying to return the favor by spreading the word about their new Kickstarter project. What I am asking of you (pretty please) is to help spread the word about their Kickstarter project. Of course, you can also contribute if it is something you can get behind! They have really generous incentives for backers of the project. The link to their Kickstarter page is HERE. To sweeten the pot, I will also be giving away Lace & Race coffee mugs to 2 readers that help spread the word. Retweet! Share on Facebook! Mention in a blog post! 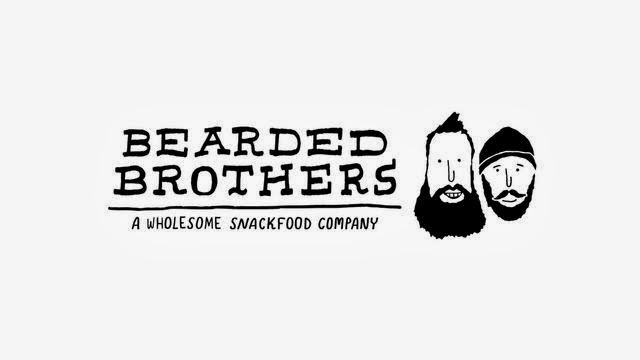 Follow the Bearded Bros! All of these ways will help this stand-up company reach their goal - which will ultimately benefit me because I love their stuff (see, totally selfishly motivated here.) Please share the love and enter below. No, you don't have to donate any money to enter, but it doesn't hurt either! Scroll down and enter below!